Computer literacy rate in Sri Lanka has increased to 27.5 percent in the first half of 2016 from 26.8 percent during the corresponding period in 2015, according to Census and Statistics Department (CSD). 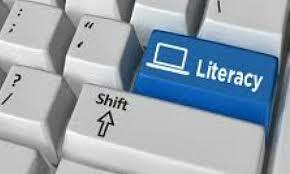 The computer literacy rate in 2014 was 25.1 percent. At the end of June last year, every fifth household owned a desktop or a laptop computer and 22.5 percent of households had at-least one computer. This percentage was 35.3 percent in the urban sector while the rural and estates sectors accounted for 20.7 percent and 6.4 percent respectively, the department said. The survey has revealed that computer literacy amongst the people in urban areas is higher those in rural areas. The urban sector has shown the highest computer literacy rate (38.5 percent) in residential areas; computer literacy rates for rural and estate areas are 26.1 percent and 9.9 percent respectively. The highest level of computer literacy is in the Western Province (38.5 percent) while the lowest percentage of 12.2 percent is in the Eastern Province. About 62.1 per cent of the households have acquired computers for the first time between 2010 and 2014 while about 15 per cent did so between 2015 and mid 2016. The survey has revealed that a higher level of education seems to bear out higher computer literacy levels. Those in the GCE (A/L) or above categories of education show the highest computer literacy rate of 71.3 percent.